In a number of earlier posts, the use of a Hero is mentioned in optimizing certain game processes such as training troops. This posts is meant to shed some light upon the use of the Heroes, which can be assigned to various tasks within your city. Once you are in your 2nd/3rd week of city building, your Hero becomes invaluable in saving precious time! When do they need to be assigned? This is how I think you should use your hero. Leveling up Heroes is either very time consuming or expensive, so it makes sense to guess that many people, like me, have their one primary Hero which is of a much higher level than the rest. The default position for this Hero is ALWAYS Production. A lvl 100+ Hero will boost your resource production phenomenally, requiring you to spend less time farming and more time to build and train. 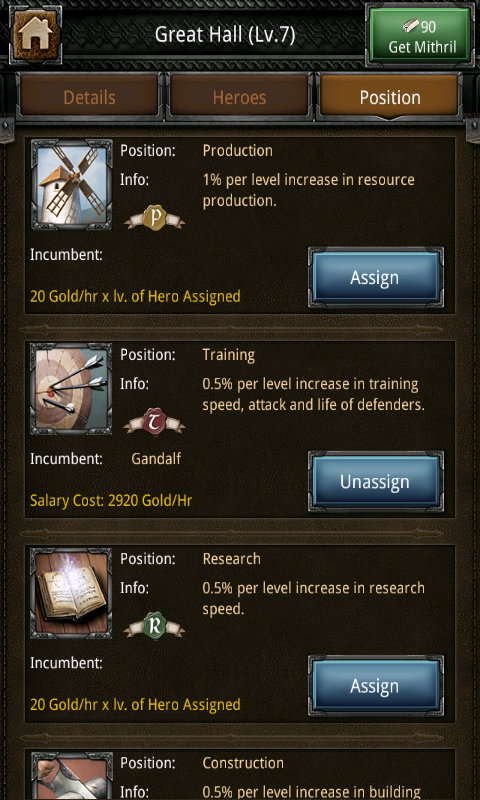 When you want to to do new research, train troops, or construct/upgrade a building, you un-assign the Hero from Production, assign him to the corresponding job and queue up the tasks. Once queued up, you un-assign the Hero again and re-assign to the Production position. (1A) Defending your city. If you are attacked and want to stand to the challenge and face the attackers, make sure you put your highest Hero on the Training position. The bonus to life and attack will greatly minimize your troop losses. (1B) Defending with reinforcements. When you defend your city and have reinforcing armies from alliance members, remember that your Training Hero lvl overrides the Hero level of the reinforcing army. If the reinforcing Hero is of higher level, do not assign your Hero to Training. (2) Attacking. Logically, when you are on the offense and have one high level Hero, you want that Hero to lead your troops, so feel free to un-assign them and use for the attack. Note that this should not be the case when farming….you should farm easy targets only, which do not require a high level Hero for success. (3) Multiple Heroes. If you are lucky, rich or patient enough to have acquired multiple high level heroes, it is best to keep one on Production and use the rest for the other tasks described. Always try to keep Production assigned, unless…. (4) You don’t produce resources. Some people (experienced) do not have any resource buildings, and rely for their resources solely on farming others. Needless to say that in this case, the Production position becomes useless. Hope this was helpful for some of you guys (and girls). Cheers! 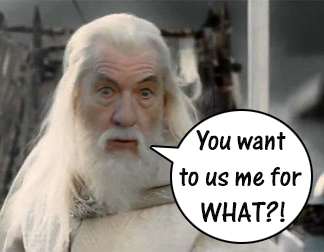 This entry was posted in Articles, Strategy and tagged construction, Great hall, Hero, heroes, kingdoms of middle earth, position, production, research, training by beardmonkey. Bookmark the permalink. In reinforcing, if there are multiple reinforcements, whose hero is used?